Superheroes. They arrive on the scene armed with dazzling super powers, incredible bravery, a tireless desire to fight evil, and a keen sense of right and wrong. Here at Care Net, we’re so thankful to be blessed by our own Superheroes. Seemingly ordinary folks whose generous giving is the “super power” that fuels our success. You save lives, spare women and men from the heartache of abortion, share the gospel, empower dads to be leaders and role models, inspire young people to make wise sexual choices and so much more! Still not convinced? Here’s proof you’re a Superhero in action! Download your Impact Report to learn more about how you are saving and changing lives. Here are just a few examples of your Super Heroism in action! Thanks to you, in 2018 we provided over 1,200 appointments. That’s an 18% increase over last year. You made it possible for young women in need to have 193 pregnancy tests and 106 ultrasounds. Why does that matter? 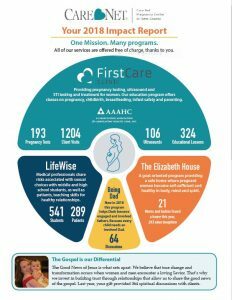 Because at First Care Clinic, where we see patients, women get much more than a medical verification of pregnancy. They receive compassion and care without judgement. They hear truth and they see truth through the miracle of ultrasound. And truth has a remarkable power to change hearts and minds. Your super powers go beyond saving lives. You care and prepare moms and dads by supporting Best Beginnings Boutique and offering material goods and educational programs that inform and empower. And you provide a home and place for a new start for young single mothers at The Elizabeth House. This year is full of promise, thanks to you. Your dedication to the women and men we serve is what enables us to do reach even more lives with God’s truth. This fall, God willing, we will begin operating a mobile clinic which will bring truth and justice directly into neighborhoods that most need our services. No more waiting for patients to find us – we will bring compassionate care directly to them. Just like a superhero, you show up when needed, make things right, and humbly leave the scene. But rest assured: We know you were here. You’ve left a mark for life. A precious life hangs in the balance today. 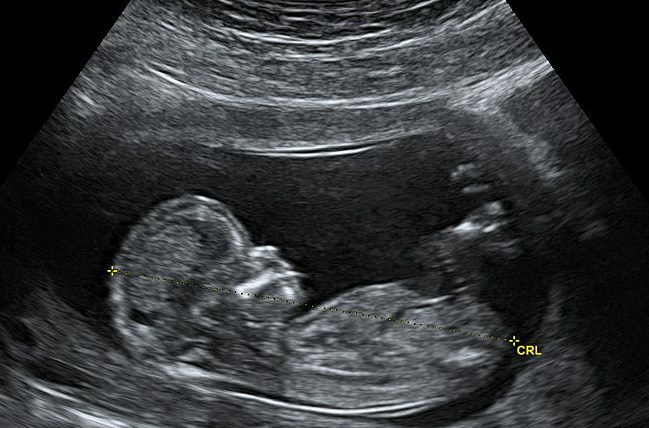 Pray his mother will be amazed at the wonderment of her child when she seems him/her via ultrasound.